Selling a home may be difficult, especially for those who plan to list a residence for the first time. Fortunately, many real estate agents are available to guide you along the home selling journey. Although there is no shortage of real estate agents at your disposal, it is important to note that not all real estate professionals are created equal. Therefore, it is essential to allocate the necessary time and resources to find a real estate agent who can help you achieve your home selling goals. What does it take to find the right real estate agent to help you sell your residence? Here are three tips to ensure you can do just that. Take a look at homes that are currently available and the real estate agents who are associated with these properties. That way, you can find out which real estate agents are available in your area. Also, don&apos;t forget to assess recently sold homes in your city or town. This will allow you to learn about the real estate agents who sold various houses and how long it took these housing market professionals to finalize the property sales. You can always search the web for real estate agents in your area too. By doing so, you may be able to view client reviews that can help you determine whether a particular real estate professional is the right choice. Friends and family members sometimes can provide insights into their past home selling experiences. As a result, they may be able to connect you with a real estate professional who will go above and beyond the call of duty to assist you. Furthermore, neighbors may prove to be great resources as you search for the perfect real estate agent. If a neighbor recently listed or sold his or her residence, you may be able to work with the same real estate agent. When it comes to finding a real estate agent, it never hurts to have a face-to-face conversation. Set up meetings with several real estate professionals. This will allow you to learn about a real estate agent&apos;s background and expertise and decide whether you feel comfortable working with this individual. In addition, try to get client references from real estate agents and reach out to past clients to find out what it was like to work with a particular real estate professional. As such, you&apos;ll be better equipped than ever before to make an informed decision. The search for the right real estate agent often requires hard work and patience. With the right approach, you can hire a real estate agent who can help you accelerate the home selling journey and optimize the value of your residence. Take advantage of the aforementioned tips, and you should have no trouble employing a top-notch real estate agent. Comfort is a professionally qualified post-graduate trained and experienced Real Estate Broker who has been in the housing business since the eighties. She was a former Chief Executive of one of United Kingdom's Housing Group based in Central London. Comfort Usukumah holds a BSc. (Hons.) in Political and Administrative Studies. She is a corporate member of the United Kingdom's Chartered Institute of Housing ( MCIH); and a former Principal Officer of a Central London Local Government Authority. Comfort was appointed a member of the Barking, Brentwood and Havering Health Authority Board under the Premiership of Tony Blair. 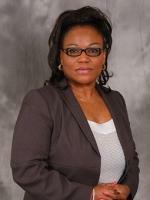 Comfort was also appointed the first Chairman of the London Borough of Havering's Race Equality Partnership. Comfort is a Certified Buyer Representative (CBR), Commercial & Investment Real Estate Certified (CIREC) and a professional Property Manager with a Post Graduate Diploma (PGDip.) in Housing from Middlesex University, Enfield, United Kingdom. 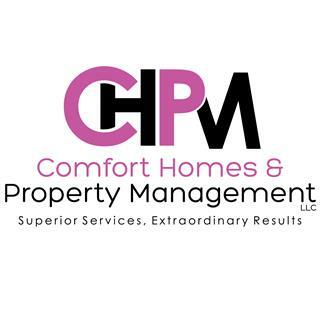 Currently, Comfort is the President and CEO of Comfort Homes & Property Management LLC. CHPM is headquartered in the city of New Rochelle, NY, USA. She is a New York State Licensed Real Estate Broker, a member of the New York State Association of Realtors (NYSAR) and National Association of Realtors (NARS). Areas we cover include Westchester County, City of New York, State of Connecticut, Long Island, Rockland, Putnam, Bronx, Pennsylvania, and Georgia. Apart from the superior services and extraordinary results we provide to our property Buyer and Seller clients, we also specialize in relocation services, serving Ambassadors, Diplomats and Senior Corporate Executives from all parts of Africa, Europe and the rest of the world. We manage commercial buildings, rentals, and properties on behalf of Owners. Why don't you call Comfort today and experience the first class services yourself and in comfort?